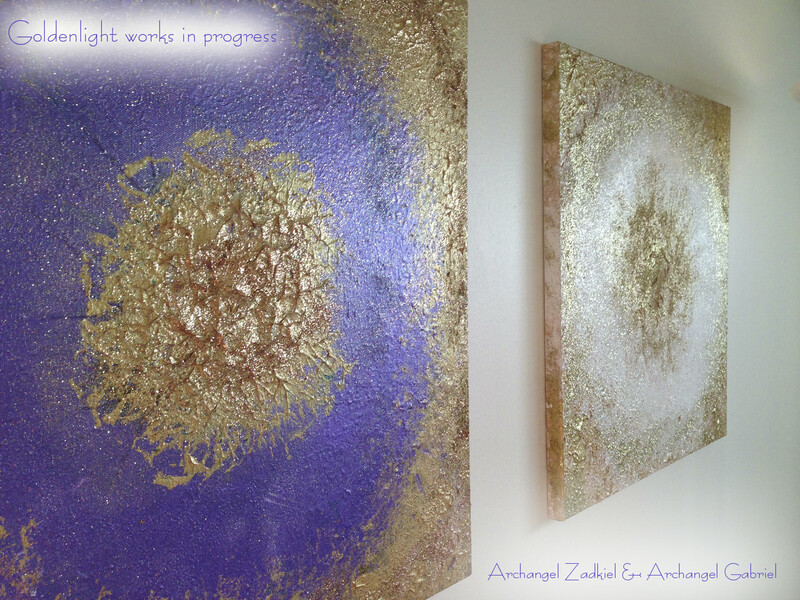 We are Archangel Zadkiel and Lady Amethyst of the Seventh Ray of Transformation, and we come to you in Love and Light. Living in the flow is a feature of the new higher dimensional energy. It has a quality of aliveness and freshness that can carry you to new levels of awareness. Living in the flow begins with a desire and intention to be in harmony with this energy that connects everything. You want to be part of this gentle flow that carries you from one moment to the next. Living in the flow means being open and aware. You are focused on what you are doing in the moment. You are not thinking about the past or the future. You are not remembering what you did yesterday or wondering what you will do tomorrow. You are totally focused on the present. If you are eating, you are aware of the taste and texture of your food. If you are working on a project, you are fully engaged on the part of the project that you are completing in that moment. You are aware of your surroundings – the temperature of the air, whether there is a gentle breeze, the quality of the light. If you are talking with someone, you are fully focused on what they are saying. You are aware of the feelings behind their words. Being fully present in the moment increases your awareness and opens the channel of communication between you, your Higher Self, and your guides and teachers. When you are fully present in the moment, your mental and spiritual channels are clear, and you are able to receive the flow of insights as they are sent. It is always being tuned in to what is available for you. As you are living in the flow, several elements and attributes can assist you in your ascension. Having open spaces in your routine allows new insights to come into your awareness . It may be perceived as spaces between thoughts – that space between the end of one thought and the beginning of the next thought. It is those moments when your awareness moves between dimensions and you transcend the limitations of living only in one dimension. You become aware of the vastness of the Universe, the worlds beyond, and of all of the wonders that are there. You may also have the sensation of living as a human being rather than a human doing. You are aware that you are a beautiful spirit living within a physical body. You realize that you are much more than what you are doing at the moment. You glide with the energy and are aware that you are one with it and everything that is. Non-attachment allows you to flow with the movement of the energy. Keeping an open mind allows your awareness to increase as higher dimensional energy expands your consciousness. When you are not attached to a certain position or outcome, you open yourself to the unlimited possibilities that the Universe has to offer. Such possibilities may be even greater than what you can imagine. Releasing attachment to a desired outcome may be needed in order for an even greater outcome to materialize. An attachment, including the emotions that accompany it, is often tied to a certain dimensional level. If you do not want to release this attachment or desire for a certain thing, you may be limiting what is possible for your progress. Asking for the highest good places you in alignment with the upward flow of energy. An attribute related to non-attachment is non-judgment . Judgment and its accompanying emotions tie you to a certain energetic point. Each thought and emotion carries a certain vibration and frequency. When you judge the actions of another person or group, your energy is focused on the particular vibration of what you perceive to be less than positive. Even though you may also be aware of positive qualities of the person, your judgment will keep your energy stuck at the level of the judgment. For example, if you judge a person’s actions as wrong and you are angry at those actions, your energy is focused on anger. This keeps your energy stuck and prevents you from rising to a higher level. If, on the other hand, you look at what has happened and acknowledge that even though you don’t agree with what the other person did but you focus on their Divine Spark, you are able to let go of the judgment. You are able to focus your attention on the positive qualities of the person, which in turn, frees your energy and allows you to rise to a higher energetic level. The last point for this transmission is to stand in your truth . When you are true to yourself, you are able to flow with the higher energy in a way that brings your greatest advancement. Being true to yourself provides you a guideline by which to assess all decisions as to whether they are a good fit for you. This releases judgment because you are only determining whether a course of action is right for you. You are not judging whether it is appropriate for others. This frees you to flow with the energy and to be open to all that is available to you. Beloveds, we commend you for flowing with the new higher dimensional energy. It will carry you to new heights and expand your awareness to unlimited horizons.